If you are looking for the maximum leads and heavy inflow of traffic, you have to make sure that the content that you share must have the maximum reach. Are you keen on exploring the way to increase the traffic of your content? Well, this is possible with the help of peer network that helps in increasing your social reach. Basically the group of social advocates in peer networking can enhance the reach of the contents that you share. This article will help you to understand what peer network is and thereby render growth to your business. What do you want to share and with whom? The very first thing that should be taken into consideration is the content that you want your network to share. You might have a few goals in your mind. For instance, you might promote and advertise your brand so that your business is at the top of every potential customer’s mind. Focus on the original contents that you are developing and identify how your customers respond to it. So, it is considered best if there is a blend of original and third party contents in your write-ups. Automating service, like the ‘Circulate.it’ is the second method. All that you need to do is load the post links into the service that will automatically send emails to your network of the social advocates on the specific date and time that you pre-select. This is a more organized and less time consuming method. Once your internal team of members is acquainted with the entire process, you can ask for experts to join your team and taking up larger roles. You can allocate them with the work to exploring links to the third party contents exactly like the ones where you are sharing now. You have to be clear with your work expectations from your new team members. Ensure that each of the team members are delivering a certain minimum number of links every day so that there is no obstacle with the growth of your business. Once you experience success from the contributions of your network of the social advocates, it is imperative that you can further expand your team. But make sure you are cautious enough. Ask the following questions in your mind before you expand your team strength. 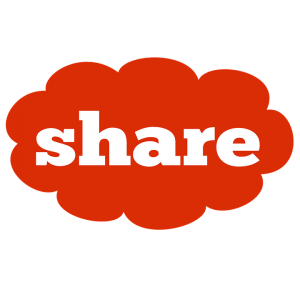 Do you have loyal followers who can share your contents even without being demanded? Do you want to include industry influencers in your network? Invite only those people who can prove to be advantageous for your business by sharing your content and reaching the maximum targets which shall help you to satisfy your goals. This entry was posted in Marketing, social media and tagged marketing, social media by admin. Bookmark the permalink.